Southwest MS Roadrunners Track Club is about teaching young athletes the importance of teamwork, goal-setting, hard work, and commitment. Winning is the goal, but not a means by which to measure success. My name is Victor Montgomery, President of the Southwest MS Roadrunners. This is our 31th season as a club whose mission is to promote athletic and academic excellence, leadership attributes, and to stress the importance of teamwork and commitment to our youth. During this time, we have gone from a few interested athletes to a recognized club that is capable of competing against nationally ranked schools and clubs. In previous seasons, we have competed in the Amateur Athletic Association (AAU). 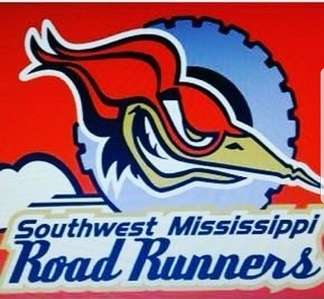 However, we are proud to represent the state of Mississippi as the officially sanctioned SW MS Roadrunners, a non-profit club recognized by USA Track and Field. The team and I are attempting to raise funds to help us train, travel, and compete at the 52st USATF Hershey National Junior Olympic Championships that will be held at, the home of North Carolina A&T University Track and Field in Greensboro, North Carolina on July 23 until July 29, 2018. Nearly 10,000 athletes are expected to travel to Greensboro for the 2018 Championships where entry is based upon performances at Preliminary Association and Regional levels of the USATF program. The USATF Junior Olympic Track and Field program is one of the most visible youth athletic development programs in the world. Many of today Olympic stars began their track and field careers competing in the USATF’s Junior Olympic meets. As you can imagine with the cost of registration, travel, lodging, and competition, we have a high overhead and our budget allocation is small. The Southwest MS Roadrunners can only achieve its goals with the assistance of generous donations from members of the community. Without these donations, serving those in our area would not be possible. Since our organization relies on the generosity of individuals like you, we write to ask you to consider a donation to our cause. We do this not only to raise revenue, but to also raise awareness of our program and sport. It is clear through your excellent reputation that you are a champion for supporting under-funded programs and financially less fortunate athletes. I hope you will help support our efforts, and that we can have the opportunity to extend that commitment further. We thank you in advance for your support! Your donation is greatly appreciated and will be used appropriately.